1875 Indian Head cents are considered common among numismatists but are actually somewhat difficult to find in completely original, uncleaned condition. 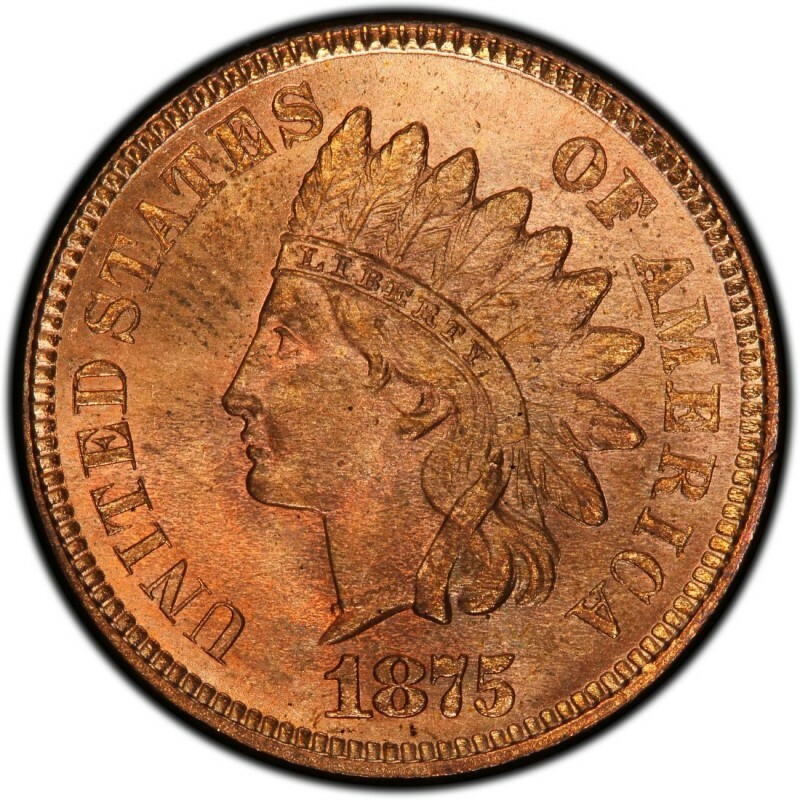 1875 pennies are widely collected by Indian Head cent enthusiasts who are assembling complete collections of the entire series, which is a challenging endeavor. Generally, collectors vie for nice, circulated examples of this coin that are problem free. 13,528,000 Indian Head cents were struck in 1875, but bear in mind that is the mintage figure; that doesn’t refer to the current population of nice piece, which stands much lower, as many 1875 pennies have been lost to time, damaged beyond recognition, or are otherwise are uncollectible. In a grade of Good-4, an 1875 penny is worth $17. Along with the 13+ million business strikes, 700 proof specimens of the 1875 penny were also made, and these are currently valued at $8,500. Indian Head pennies, which were first minted in 1859, were designed by Chief Engraver of the United States Mint James B. Longacre. 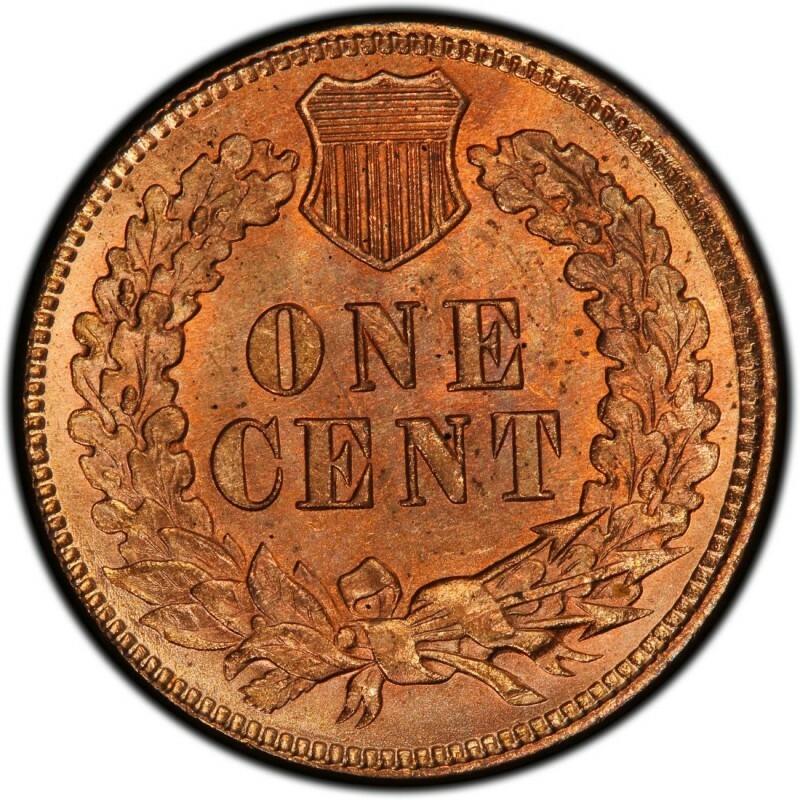 In addition Indian Head pennies, he also designed the two-cent coin, which is the first U.S. coin to bear the motto IN GOD WE TRUST. Many people think 1875 Indian Head pennies depict an actual Native American. The figure on the coin is actually Miss Liberty, who was modeled after Longacre’s 12-year-old daughter, Sarah.